Are you looking to increase the quality and flexibility of your manufacturing process? Industrial automation can help you meet this goal. It involves the use of systems, such as computers and robots. 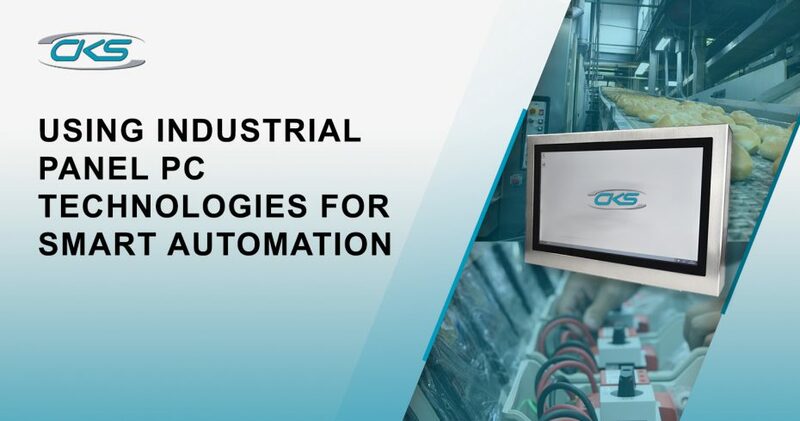 Industrial automation also uses information technologies like panel PC systems to handle different processes and tasks in any industry and can even be used to replace human workers. Among the many benefits of using industrial automation for your business include maximising efficiency and minimising profit loss and remaining competitive in the global market. Access technology from anywhere, at any time. You can optimise your business from a distance, 24/7, from granting access for a late-night delivery or locking up behind a forgetful employee. Monitor your business and its operations. With alerts, you are better able to know what’s going on while you’re away. If an alarm goes off, you can tune into your store to see if anything is amiss such as someone breaking in or simply an employee entering the building for a forgotten item. This allows you to identify a problem before it gets worse and to quickly take action when needed. Keep tabs on food or other inventory. About 4 to 10 percent of food purchased by restaurants is lost before reaching the customer. This results in profit loss and waste. With the use of smart automation, you can actively monitor storage areas. Set alerts for when refrigerator doors are left open or when temperatures rise or fall below optimal temperatures to maintain freshness and integrity of food products. Tailor your store’s layout according to customer behaviour. With close monitoring, smart technology knows when there is a long line building up at the register. Automation will alert you to move staff from a back room to meet the high demand in customers. You can also use automation to adjust your store’s layout when customers tend to crowd a certain part of the store. Furthermore, you can place high-value products in areas high in traffic for increased exposure. Set comfortable temperatures for increased productivity. Smart technology can help maintain optimal temperatures for the comfort of employees as well as customers. Studies show that a nine-degree difference in temperature greatly impacts productivity. Ensure that your smart automation systems keep temperatures around 71 degrees for happier employees and customers. Case Study: A Japanese chemical company, Kao, that manufactures personal and home care products, sought to maximise the production efficiency of their global business, Quimikao. To do this, they chose to implement a virtualized PlantPAx process automation system. The automated system allowed operators to control all processes of nitrile – a key ingredient in Kao’s products – production from their work stations, which could increase preventive maintenance and reduce repair costs in the future. Since implementing the new automated system, Quimikao facility has increased production efficiency, as well as improved product quality and consistency. The use of smart automation for products like chemical metering pumps is very important to ensure that companies survive and succeed in such a competitive market. Metering pumps move fluids at highly precise flow rates over certain periods of time. The growing demand for environmentally friendly waste-water, food and beverages, petrochemicals, and oil and gas is driving the market for metering pumps. This increases competition across the world in the growing economies like China, India, and Indonesia. Europe, Latin America, and Africa are also getting involved in the market. Industrial automation can increase efficiency by enabling monitoring and faster production. This will help distinguish your company from the rest. To optimally operate your automation software, you will need to integrate a reliable industrial-grade panel PC system. At CKS Global Solutions, we are committed to helping you take your manufacturing process to the next level. Don’t hesitate to contact us for more information about our industrial automation services.